Are you ready for Father’s Day this weekend? And if you still need ideas, we have a few that might help. There are also a ton of free, frugal and fabulous family-friendly events this weekend that would make a great experience gift for dad as well. So here’s hoping for some sunshine in the Pacific Northwest for all the local boating, strawberry and community festivals and hope you have a great weekend everyone! And if you find a fun, frugal event that’s not listed, feel free to leave a comment so we can add that event to our list. Find more Cheap Event Tickets for Seattle area on Goldstar HERE. Find more Cheap Event Tickets for Portland area on Goldstar HERE. Festival of Sail – Tacoma; 9am-5pm; $9-12 general admission. Come see the World’s Largest Rubber duck at this festival of historic ships. Meeker Days Puyallup– Puyallup; noon-9pm; Free. Three days of festival starts today! Check out the Kids’ Zone, the antique tractors and the Washington State Traveling Farm exhibit. Edmonds Arts Festival – Edmonds, 10am-8pm; Free. Make sure to stop by the Kids’ Create area for hands-on art projects and face painting. 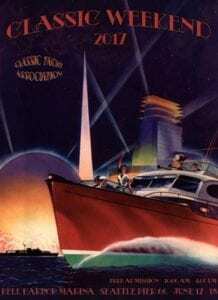 Classic Weekend Parade of Motoryachts– Seattle; 2-4pm; Free. Watch the boats as they arrive in Bell Harbor. Burien Wild Strawberry Festival – Burien; 10am-6pm; Free. Touch a Truck happens today at this fun and family-friendly festival. Check the schedule for details. Reptiles Rock – Select PetSmart Stores; 12-3pm; Free. Parents and kids can have a close encounter with PetSmart reptiles, receive a free hatching egg toy and enjoy a craft at many local area PetSmart stores. Morgan Junction Community Festival – Seattle; 10am-4pm; Don’t miss the Bubbleman at 10:30am! Classic Weekend – Seattle; 10am-4pm; Free. The Center for Wooden Boats will have free wooden boat making for kids while supplies last. Meeker Days Puyallup– Puyallup; 10am-9pm; Free. Puyallup’s 78th annual festival! Check out the Kids’ Zone, the antique tractors and the Washington State Traveling Farm exhibit. Biringer Strawberry Fest – 11am-3pm; Free. Lots of family-friendly acitivites and berry picking. There is a jam-making demonstration today. Fremont Fair Seattle; 10am-8pm; Free. This fair marks the start of summer in Seattle and embraces the free spirit of Seattle’s Center of the Universe. Be aware that the annual parade takes place at 1pm today and some guests arrive in full or partial body paint. Marysville Strawberry Festival – 10am-9pm; Free. Don’t miss the strawberry shortcake eating contest at 1pm. The kids’ parade will be at 6pm and the grand parade will follow at 7:45pm. Seattle Bot Battle – Seattle; 11am-5pm; Free. See robots battle it out at Seattle Center to be king of the box. 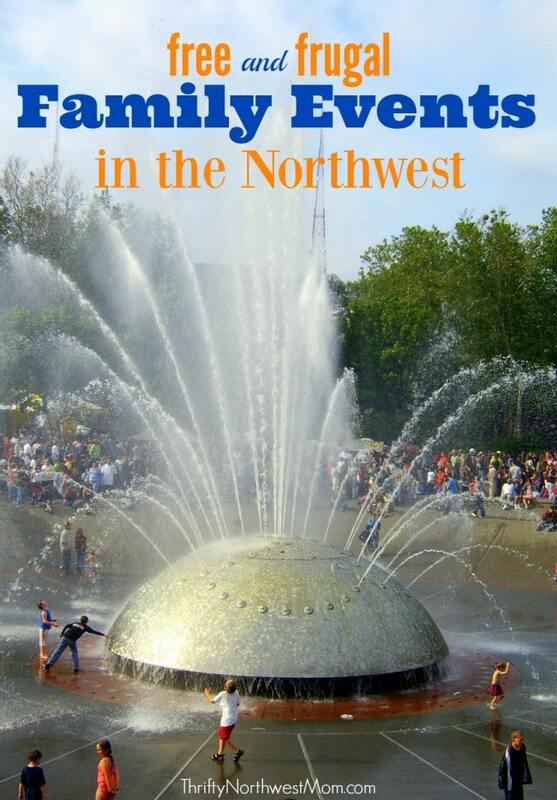 Free Family Garden Day – Seattle; 1-3pm; Free. Drop by the Magnuson Community Garden for hands-on gardening activities and fun! Free Open Play at Springfree Trampoline – Issaquah; 5pm-6pm; Free. With 12 trampolines to jump on and free snacks and drinks, stop by Springfree in Issaquah to get the kids’ energy out. MaST Center Discovery Days – Des Moines; 10am-2pm; Free. Check out this free mini aquarium on the pier with touchpools and a 38-foot grey whale skeleton. Fenders on Front Street – Issaquah; 8am-3pm; Free. Vintage cards, family activities and live music at this car show on Front Street. Marysville Strawberry Festival – Marysville; 10am-6pm; Free. Meeker Days Puyallup– Puyallup; 10am-5pm; Free. Puyallup’s 78th annual street festival! Check out the Kids’ Zone, the antique tractors and the Washington State Traveling Farm exhibit. Biringer Strawberry Festival – 11am-3pm; Free. Lots of family-friendly acitivites and berry picking. Fremont Fair – Seattle; 11am-6pm; Free. This fair marks the start of summer in Seattle and embraces the free spirit of Seattle’s Center of the Universe. Edmonds Arts Festival – Edmonds, 10am-6pm; Free. Make sure to stop by the Kids’ Create area for hands-on art projects and face painting. Public 12 Flag Raising– Othello; 12pm; Free. Join the Seagals, Blitz and Blue Thunder for a public 12 flag raising in Othello’s Lion’s Park. Burien Wild Strawberry Fest Burien; 10am-4pm; Free. The Bubbleman performs between 1pm-3pm at this fun and family-friendly festival. Free Summer Concerts at Ballard Locks – Seattle; 2pm; Free. Today’s group is the Cascadia Big Band. It is also Fisheries Day at the Locks from 11am-3:30pm. Free Henry Art Gallery – Seattle; 11am-4pm; Free. The Henry Art Gallery is Free to the public every Sunday. 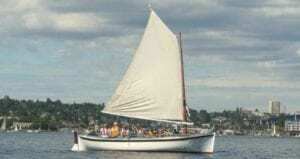 Free public Sail at Center for Wooden Boats – Seattle; 10am-4pm; Free. Sign up in person for time slots at the Center for Wooden Boats starting at 10am on a variety of different boats. The boat rides lasts about 45 minutes. Berry Festival at Lee Farms – Tualatin; 10am-6pm; $10 per person including activities. Check link for schedule and tickets. Lunch Music at Holladay Park – Portland; noon-2pm; Free. Today’s musician is King Louie and LaRhonda Steele. 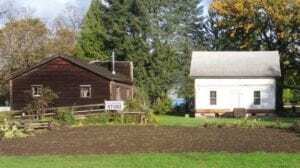 Opening Day at Philip Foster Farm – Eagle Creek; 11am-4pm; $5 per person or $20 per family. Come learn about Oregon’s history. World Forestry Center Discovery Museum Free Day – Portland; 10am-5pm; Free. Bring your family to learn about the importance of forests at this 20000 square foot discovery center. Open Saturday at Pearson Field – Vancouver; 1pm-5pm; Free. Stop by to see historic airplanes and learn about flight. Father’s Day Celebration– Hillsboro; 11am-2pm; Free. Stop by iSpark toys for an afternoon activity with dad including snap circuits and cupcakes. Sunday Funday at Dairyville Portland; 1-4pm; Free. Today is the opening day of Dairyville, a pioneer-themed ‘town’ families can visit on Alpenrose’s 52-acre farm. Michaels’ Kids Club – every Saturday from 10am-noon; $2 for children ages 3 and up with all supplies included. Check your local Michael’s store to see if they are participating in this weeks’ project. Lakeshore Learning Stores– every Saturday from 11am-3pm there are fun free crafts at Lakeshore Learning Stores for ages 3 and up. Check with your local store to see if they are participating.